In a bloody six year reign, Prince Vlad Dracula, first heir to the throne of Romania, was more than just the inspiration to one of the world’s most marvelous, renowned horror tales. He is best known as the real Count Dracula, drinking the blood of his dead or still dying victims. A dictator who went to the upmost extremes to keep his country running, he is by far one of the most monstrous people in history. To this day he is referred to as Vlad tepish, translating into ‘Vlad the impailer’ in favor of his favorite method of killing. Prince Vlad Dracula was not your average Ruler. When he was thirteen years old his father the King of Romania sent Vlad and his younger brother Radule to Turkey to be held as life time prisoners. He did so on the premise that he would not start a war between the two countries of Romania and Turkey. Vlad was young and being held hostage in a strange, foreign land, it affected him as he grew, imprinting a raw, ravenous rage towards anything and everything. With his sense of abandonment and betrayal he spawned hatred for the Turkish sultan and his court, and for his father who had imprisoned him. Being the former Prince of Romania and having to resort to bearing chains, he wanted to regain the former power he once had. To Vlad, independence and leadership was everything, being strong willed and controlling he thirsted for power. Vlad was overly intelligent, he learnt to analyze the enemy and knew exactly how to manipulate those around them. He began to fake his approval and admiration towards the Sultan and eventually, the sultan took the two Romanian brothers under his wing. He gave them a military upbringing (warfare, combat, archery, horseback riding and swordsmanship) and treated them like they were his own children. By using manipulation, Vlad had turned the sultan into his own little, adoring puppet, all the while brewing his temped up rage into a violent, silent storm. The Sultan even took them along to public executions designed to induce fear and showcase the sultan’s power, it was here Vlad’s sadistic nature began to show itself as he grew jealous of the sultan having all the power. In 1448, Vlad’s father the King was murdered by a beautiful female assassin whose specialty was to seduce powerful men and poison them. Vlad was speculated to have hired her in a plot for Vlad to take his rightful place on the thrown as the true blood king. After 6 years in exile and at 19 years of age, his chance had finally come to rule. 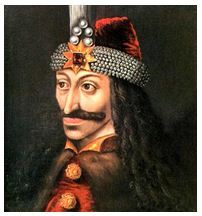 Using his manipulative skills and connections he influenced the Turks to raise an army and put Vlad as the new, true King of Valackia Transylvania. They were hoping for peace between the two feuding countries, but within 3 years Vlad betrayed them and threw the Turks out of what was now his kingdom. Prince Vlad Dracula had began his infamous and bloody rein. Vlad had absolute power now that he was the King. His position overshadowed the sultan, thus giving him influence over Turkey. He knew he had absolute power and abused that in every way possible. Even from a young age Vlad manipulated people to do things for him, mentally twisting their arms until they did as he commanded. Once in power he built watch towers, battlements and underground tunnels turning Transylvania into a gothic looking fortress, this was where the stereotypical look of ‘count Dracula’ originated from. He knew he was on the brink of war with the Turks and took every measure to help in his favor. To ensure absolute loyalty and submission among his people Dracula employed a terror tactic he witnessed in captivity, public execution using a foul tactic; Impalement. Although his methods were highly unnecessary they did their job more than well, there was absolutely no crime in Transylvania and no one dared speak out about him. Cocky and eager to test how powerful his influence was, he placed a priceless golden chalice in each of his districts, unguarded, every hour of every day. In the entire duration of his rein not once was one of them stolen. Soon, Vlad became impatient; he thrived on watching people mindlessly carry out his each and every whim. He controlled his country by inducing fear and revoking all independence. Impalement wasn’t just to keep order, to him; the executions were a leisurely pass time. He would impale women for nothing, his reason being they weren’t working hard enough. Some say he took sexual pleasure from this. He even impaled the children and the elderly because to him, they were useless. He killed people on a whim and hung the corpses around his kingdom from trees and walls and the roof tops. The unbearably foul stench of death filled Valackia; turning the capitol into a grim, unbearable graveyard. Every time an old corpse was cut down a new one would replace it. Nobody could leave, they would be impaled. Vlad used his power to make the people lived in fear. Vlad took care in ensuring his victims had the worst, most horrific death imaginable, worse than crucifixion even. Disgustingly so Vlad also had a strange appetite. He would summon soldiers to gather the blood of his recent victims and put the foul liquid in golden bowls. Then sitting alone, he would dip his bread into the bowls, slurping up the glugging liquid like it was merely gravy. This made him feel like he had the ultimate power, the power over life and death, in his mind, he was like God himself. Vlad was using his power to sadistically murder and torture innocent human beings, purely for the sake of his entertainment. He envisioned that staking’s would rid Valackia of crime, but somewhere along the lines he became unhinged and mentally unstable. 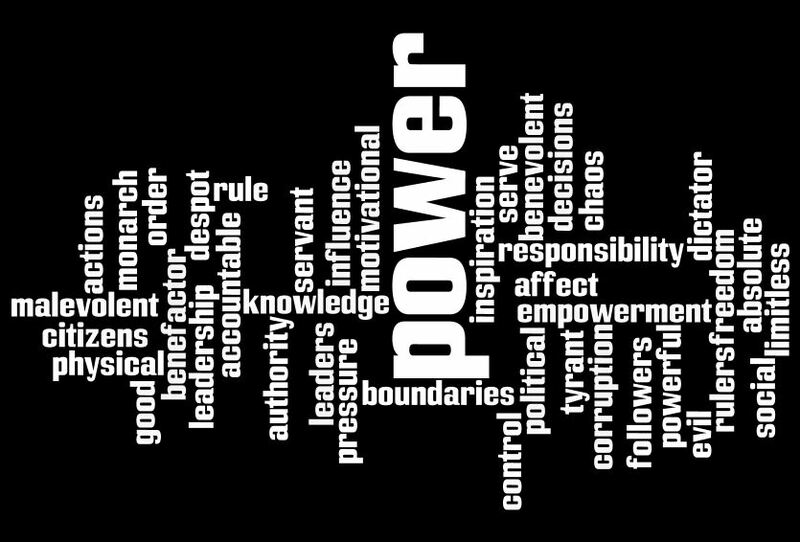 Vlad was now in absolute control, fear let him control the lives of thousands, giving him a greater sense of empowerment and importance. Soon the Turks had enough, they gathered an army that tripled Vlad’s and invaded Transylvania. Vlad did everything he could to stop the invasion; he burnt crop fields and poisoned wells, even if it meant that his people would also suffer. He burnt villages and left the victims to pass on the fearful word, all because he was selfish and frightened of the prospect of death. Crossing the border into Romania the Turks had to go through a real life physical vision of hell. A forest of 20,000 dead and dying, wailing, impaled bodies blocked their path. Many Turkish soldiers turned back and fled, but the brave still carried on. After a bloody battle with the loss of more than half their men, Vlad was killed by being beheaded. As proof his bloody, severed head was taken back to the Sultan who raised him and Vlad’s younger brother Radule, whom had stayed loyal to the Turkish army and become a General. Vlad’s long and bloody rein had ended and peace filled Europe once again. It is said that whilst Dracula was King the Pope supported him in his bid to eliminate all crime, once has to think of whether the Pope realized just how harsh Vlad’s methods were. In several ways, Vlad’s influence in the place of leadership had both productive yet horrific consequences. During the six years of his rein, there was absolutely no crime at all within Romania and Transylvania. Petty crimes were punishable by death, so his people were on their best behavior. But whilst in power his death toll reached into the near hundreds of thousands, most of them being innocent human beings (the majority children and elderly). To me, Vlad had an intriguing story yet was undeniably a sick human being. Taking the lives of hundreds upon thousands of people is unforgivable, giving him a firm place in history as one of the most ruthless, notorious monsters who ever ruled in power. Born in 1925 he was a military leader and President of Uganda from 1971 to 1979. Over those eight years he managed to wipe out a fairly large portion of Uganda’s population for very tenuous reasons. Basically, if he hated you, you died. When he first rose to power he had the military leadership rounded up and decapitated. He then sat on a pile of their heads and chastised them while taking bites from their flesh. Amin was a member of the Kakwa tribe. They believed that if you ate a section of a man you killed then his spirit could not return to haunt you. Amin was born in 1925 in the Republic of Uganda. As a child he was deserted by his father and was brought by his mother, a herbalist and diviner. He was a member of the Kakwa ethnic group which is a small Islamic tribe that was settled in the region. Idi Amin received very little formal education as it is unknown whether he attended the local missionary school. However, in 1946 he joined the King’s African Rifles which is Britain’s colonial African Troops. He served in Burma, Somalia, Kenya and Uganda. He was considered very skilled at his occupation but seemed very eager and gathered a reputation for being cruel at times. In fact, he was almost cashiered on several occasions for excessive brutality during interrogations. Eventually, he worked his way through the ranks, reaching sergeant-major before finally being made an effendi which is the highest rank possible for a Black African serving in the British army. From 1951 to 1960 he held the position of heavyweight boxing champion in Uganda. Amin was sent to the UK to further his training in the military and on his return in 1964; he was promoted to major and given the task of dealing with an army in mutiny. During this time he took over the as president after a proposed scandal took place within the government. Idi Amin began to strengthen his position in the military by using funds from smuggling. Troops under Amin’s command committed the ‘Turkana Massacre’, while holding an operation of cattle stealing. Investigations showed that the victims had been tortured, beaten to death and in some cases, buried alive. After many cases of murder, evidence shows that Amin began to become very paranoid. He was apparently involved in blood rituals and cannibalism. He may have also suffered from hypomania, a form of depression which is detected by irrational behavior and emotional outbursts. At this time he was still president and had betrayed many people. The economy of Uganda was failing as inflation reached an excess of 1,000 percent. In his final years of reign, Amin decided to annex Kagera, a province on the border of Uganda. This backfired and the capital of Uganda, Kampala was captured. Amin fled to Libya where he stayed for almost 10 years, before finally settling in Saudi Arabia where he remained in exile. In 2003, Idi Amin’s death was reported due to multiple organ failure. He was never tried for abuse of human rights. Dr. Janusz Korczak was a great and caring man. He was a paediatrician, but first and foremost he was a humanitarian. Besides being a doctor, he was also a writer. Although he could be quite abrupt with adults, he had all the time in the world for children. He gave his time, patience and warmth to the children (orphans) he cared for. When he was 30 years old he stopped his medical practice and opened an orphanage for Jewish children who had been orphaned or abandoned. Some of these children had already seen the horrors of life and Dr Korczak took these children in a cared for them, teaching them about discipline and caring for themselves. He respected his children and insisted that each child had a right to a locked drawer to keep their “treasures ” in. He taught them that they had a voice and it was important to be heard. That they weren’t just nobody’s to just be forgotten about. He organised plays and concerts for the children, he tried to show them the good things in life that not everything was bad. Even though these children had been scarred by death and horrors of life. During WWll the orphanage was moved three times, the third time saw them placed into the Jewish ghetto in Warsaw Poland from where the SS began clearing out the Jewish people and sending them to the Concentration Camps (also known as Death Camps) in Poland. It is here that the Jews were sent to the gas chambers. On the 5th August 1942, nearly 200 orphans were taken from the Warsaw ghetto to the trains to be transported to Treblinka, the death camp were they would be gassed. There was no crying or trying to hide, these children trusted their mentor and willing went with him, not knowing they would be going to their deaths. The doctor had told them that they would be going to the country where there was flowers and trees, out of the dirty ghetto. So these children were happy to leave, it must have been so hard for the doctor to keep up the front for the children. Knowing as he did what awaited them. The children were so happy that witnesses heard them singing on their way to the train. These children had gotten dressed in their best clothes for their trip to the country. Dr Korczak voluntarily accompanied the children on their doomed journey. He was not required to do this but insisted on going with them, where he died along with his children in the gas chambers. He was given the opportunity to save himself, but chose to die alongside his beloved children. Which he thought of as his own. Even though there were stories about Dr. Korczak and his children surviving, there has never been any proof in the rumours. There is a memorial to Dr. Korczak and his children at the Powązki Cemetery in Warsaw, Poland. Jack the Ripper is the most widely known name for the unidentified serial killer in Whitechapel, London during 1888. The name “Jack the Ripper” came from a letter written by someone claiming to be the murderer, and signing it from “Jack the Ripper”, evidence to support whether this was a hoax or whether it was the Ripper himself is insufficient. He went by two other nicknames which were “The Whitechapel Murderer” and “Leather Apron”. All of his alleged murders were done on female prostitutes in the slums of the area. He became widely known and feared by the vast speculations from the media. The Whitechapel murders involved that of 11 deaths, five of which, known as the conical five, are widely believed to be connected to the Ripper. Three of these five had internal organs removed from them, starting the belief that the murders were somehow connected. During the time of September and October 1888 it was believed that the Ripper had some sort of anatomic or surgical knowledge. The conical five, the murders believed to be committed by the Ripper, spanned from August through to November in 1888. All of these murders happened around the time of a weekend and usually toward the end of a week or month. The severity of the murders increased as they went on, all except one. His first victim, Mary Ann Nichols, was discovered in late August 1888. Her throat was severed deeply by two knife wounds and her abdominal region was partly ripped open by a deep and jagged wound with several other incisions made by the same knife. His second victim was found only eight days later, with the same two cuts to the throat with the addition of her abdomen being entirely ripped open and her uterus was removed. 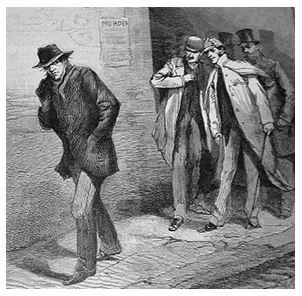 His next two victims, Elizabeth Stride and Catherine Eddowes, were killed and found several hours apart on the 30th of September 1888. Stride was found around the time of 1 am. There was a slight difference in Stride’s death to the Ripper’s normal pattern, her throat one slashed with one clear incision to the main artery with no abdominal mutilations. It is suggested that maybe the Ripper was interrupted during his attack, which would make sense because serial killers like to make sure that their killings are correct and that they follow a pattern that they have set. So when Eddowes was found three-quarters of an hour later with her throat severed and her abdominal region ripped open with a deep, jagged weapon and with her kidney and a major part of her uterus removed. This seems to be a kind-of OCD thing for the Ripper, failing in his first attempt so killing someone else in order for his pattern to be correct. The last of the conical five was Mary Jane Kelly, her brutally mutilated body was found in her bedroom with her throat severed down to the spine and her whole abdomen was basically emptied of its organs, the heart was missing from the scene. There were several more killings in the years following the conical five but none of these murders followed the same pattern that the five did nor did they really have any connection to the Ripper’s usual tactics, suggesting that it was not him. Jack the Ripper was by far a monstrous man, but maybe to him he felt like he was doing the right thing. All of these women were prostitutes around in the slums of the city, which were greatly frowned upon back then, so did he do the right thing? Or maybe it was just for his own personal hatred toward women like this. Even though no one knew his true identity, Jack the Ripper certainly had the power of fear over the area of Whitechapel, England. “In the sixth century before the Christian era, religion was forgotten in India. The lofty teachings of the Vedas were thrown into the background. There was much priestcraft everywhere. The insincere priests traded on religion. They duped the people in a variety of ways and amassed wealth for themselves. They were quite irreligious. In the name of religion, people followed in the footsteps of the cruel priests and performed meaningless rituals. They killed innocent dumb animals and did various sacrifices. The country was in dire need of a reformer of Buddha’s type. At such a critical period, when there were cruelty, degeneration and unrighteousness everywhere, reformer Buddha was born to put down priestcraft and animal sacrifices, to save the people and disseminate the message of equality, unity and cosmic love everywhere. Buddha didn’t perform miracles but he did bring peace to a war torn country and many other people and he isn’t a God but a prophet who came to bring peace and wellbeing to his country. 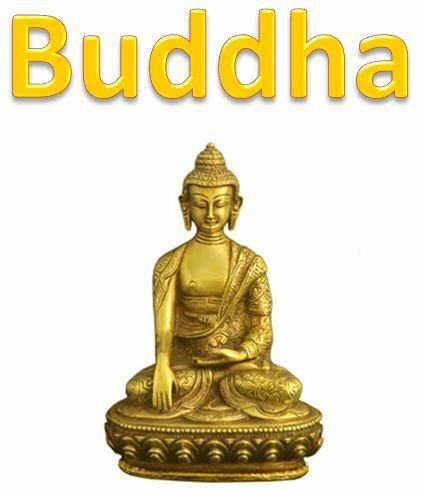 Buddha isn’t a monstrous person he is the complete opposite and kind, gentle man who never raised his voice and was the wisest person in all the land. Buddha is one of the best persons in all the land. He came before Jesus and didn’t do any miracles but what he did was spread peace all across his land even to the people who never met him and whenever people hear his name they feel a sense of relief. Most of the peasants in Russia in the nineteenth century were forced to confront poverty, young Joseph Stalin was no exception. However, he battled against this hollow factor and rose to become one of the greatest communist revolutionaries and powerful ruler of the former Soviet Union. Joseph Stalin was born as Iosif Vissarionovich Dzhugashvili on the 21st of December 1879 in Gori, Georgia (which was, at the time, a part of the Russian empire) to an alcoholic cobbler and a maid. As a young boy he earned the nickname ‘Pocky’ due to the scars he acquired to his face when he contracted smallpox. It was in his youth that Joseph realised just how he wanted the Soviet Union to be ruled and that he himself must take action to help this. He had received a scholarship to a fine theological seminary in the Georgian capital but he had no interest whatsoever in such studies. Joseph devoted himself to the revolutionary movement against the Russian monarchy and even joined a secret revolutionary organisation called ‘Messame Dassy’. This group persevered for the release of Georgia from the claws of the Russian Monarch so it could become independent. Naturally, when Joseph’s allegiance was discovered, he was expelled from the seminary. Stalin set to work immediately after his expulsion, teaching middle class children. With a lot of spare time on his hands, Joseph effectively motivated workers and peasants to organise strikes and shut-downs. His enthusiasm and persuasiveness gained him much popularity among the people. However, he soon had to go into hiding once the Monarch’s secret police learned of his revolutionary activities. But Joseph persisted, which subsequently lead to his arrest and his exile to Siberia. Eventually, with the assistance of other activists, the communist party came into power with Joseph in the high ranks. With sheer cunning and desperation to be leader, Joseph had the other men who were competing for leadership turn against each other and eventually they were exiled. Stalin had now become the supreme authority of the Soviet. Joseph was arguably the Soviet Union’s most powerful and ruthless leader. With his socialist-economic policies he attained the favour of the poor and working class people and with the power endowed by this popularity he trounced the prominent party leaders of his oposition. The concept of a ‘Five-Year-Plan’ was adopted by the Soviet Union as they sought escalated industrialisation and a collectively controlled economy where peasantry was directly in political control. However, it was through these programs that the true brutality of his nature shone. Stalin was cruel and merciless and the lives of all those who he ruled were at his expense. Stalin was at the top, and he enjoyed his absolute power and authority. In fear of any corruption in his rule or plots against him, Stalin took action to ensure his safety and supremacy. He launched the great terror of the 1930’s; a vicious campaign entitled ‘The Purge’ which constituted of the execution of the party members and other sectors of the Soviet Union who he deemed suspicious and disloyal to him and also the exile of millions to slave labour camps. Joining with the ally forces against the Nazi’s, Stalin assailed Germany due to its breach of the non-aggression pact with the Soviet Union despite the fact that they once collaborated. This powerful force strongly aided in the defeat of Germany despite the huge death toll in the Soviet Union – but this did not faze him in the least. He even extended his savagery to those who had committed either political or criminal offences. The Russian archives record that, under Joseph’s ruling, around 800,000 prisoners were executed. Joseph Stalin remained supreme ruler until his death on March 5, 1953, at the age of 74. Joseph’s supremacy acted as a drug in his system and he was continually hungry for more. The obsessive measures he took to ensure that his position was secured exceeded the necessary force of a ruler. He knew how he wanted the Soviet Union to be ruled and he took the steps that he saw fit in a desperate effort to achieve that goal. Under this monster’s treacherous rule, death and suffering was cast upon tens of millions of people. Fidel Alejandro Castro was born on August 13, 1926 in Cuba. He was brought up by wealthy parents and had five siblings. Fidel’s parents, both illiterate, were determined their children should receive a good education. Fidel was sent to a Jesuit boarding school where he learnt discipline and soon showed that he was extremely intelligent. However even as a teenage Fidel was a rebellious boy, he helped organize a strike of sugar workers on his father’s plantation. Fidel went on to become a lawyer in Havana, often taking on the cases of people who could not afford to pay him, leaving himself constantly short of money. Fidel’s experience as a lawyer made him extremely critical of the great inequalities in wealth that existed in Cuba. Fidel resented the wealth and power of the American businessmen who appeared to control the country. In 1947 Fidel joined the Cuban People’s Party. Fidel was attracted to this new party’s campaign against corruption, injustice, poverty, unemployment and low wages. By 1952 he was a candidate for congress for the Cuban People’s Party. A powerful public speaker Fidel soon built up a following amongst the young members of the party. The party was expected to win the election but during the campaign with the support of the armed forces General Batista took control of the country. For the Cuban People’s Party to gain power Fidel came to the conclusion that revolution was the only way. By 1953 Fidel planed to overthrow Batista by attacking the Moncada Army Barracks with an armed group. The plan ended in disaster with eight of his group killed in the fighting and another eighty murdered by the army after they were captured. Fidel avoiding execution was put on trial and charged with organising an armed uprising. Using this opportunity Fidel made a speech about the problems of Cuba and how they could be solved, this speech later became a book entitled ‘History Will Absolve Me’. Fidel was found guilty and sentenced to fifteen years in prison. Fidel became famous in Cuba from the trial and the publication of the book. His attempted revolution had considerable support in the country. Batista decided to release Fidel after he had served only two years of his sentence due to considerable pressure from the Cuban population. Castro left for Mexico where he began to plan another attempt to overthrow the Cuban government. The Batista’s soldiers arrested, tortured and questioned many innocent people. Suspects, including children, were publicly executed then left hanging in the streets for several days as a warning to others who were considering joining Fidel. Despite Batista having the backing of the United States government, Castro was confident he could beat him in a battle to rule Cuba. Castro’s troops began to march into the main towns and soon after Batista fled Cuba. In response the remaining government Generals attempted to rule, however Castro called for a general strike and the workers of Cuba supported him, forcing the military to accept their desire for change. As a result in 1959 Fidel Castro became Cuba’s new leader. Castro’s government passed many new laws. Rent was cut for low paid workers by as much as 50 percent and land owned by Batista and his former ministers confiscated. Cuba’s US owned Telephone Company was nationalised and land redistributed among peasants. Morally opposed to racism, drugs, prostitution and gambling, Castro abolished segregation laws in public places such as swimming pools and cemeteries, and passed laws to close down casinos and night clubs. He believed in education for all. In Cuba at this time particularly in poor rural areas, many people were illiterate and children did not attend school. Following the revolution Castro set about changing this. At Castro’s request students travelled to rural areas, teaching people to read and write. Eventually free education was made available to all Cubans. To help improve the health of the young the government introduced a free health service and began a mass inoculation program. During the three years following the revolution a quarter of a million Cubans out of a population of six million left the country. Many were middle and upper class Cubans who found they were worse off financially as a result of Castro’s policies. Whilst most Cubans who remained in the country supported him, many began to resent Castro. He did not keep his promise to hold free elections and was becoming less tolerant to those who disagreed with him. He sacked ministers and replaced them with people who were often young and inexperienced. Politicians who disagreed with him faced being arrested and considered as deviants, as were homosexuals who were often imprisoned. Castro used his power to achieve many good things in Cuba including social welfare, universal education, almost guaranteed employment and quality health care. However his one- party state jailed those who opposed him, ruined the economy and led hundreds of thousands of Cubans to flee. This abuse of power has led to a government which controls every Cuban newspaper, television channel and radio station and restricts internet access. Castro used his power to avenge the torture and murder of hundreds of Cubans by the Batista government. He set up public tribunals where the people responsible were tried and executed. Whilst this pleased many Cubans, world opinion was divided and somewhat shocked. Denied the right to vote against Castro and his party in free elections, anyone can be jailed for “social dangerousness” which does not need them to have committed any specific offence. Before coming to power Fidel Castro used his power to influence Cubans to have faith in him and support him and the revolution to overthrow the Batista government. Many Cubans kept their faith and belief in Castro right till the end of his political life, however this goodwill was not returned. Fidel Castro remained suspicious of not only other governments, but also of his own people for as long as he was in power. Castro’s health declined and in 2006 he transferred his political responsibilities to a younger brother.